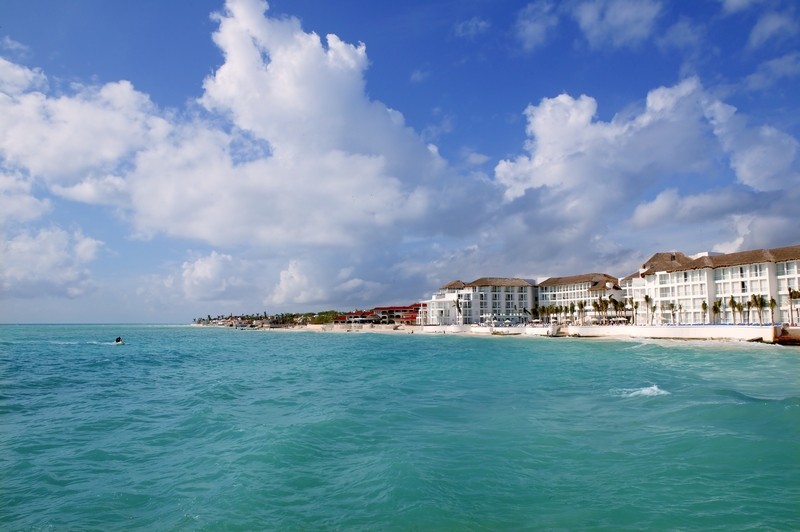 Mexico is a large country and as a result it has a diverse climate that varies by region and by season. In fact the Tropic of Cancer pretty much divides the country into tropical and temperate zones. The climate of a region is influenced by its geographical latitude as well as its height above sea level. Mexico can be broken down into three land types – Tierra Caliente (Hot Lands), Tierra Templada (Temperate Lands) and Tierra Fria (Cold Lands). The Tierra Caliente extend from sea level up to altitudes of around 750m, taking in the coastal plains, desert regions of the north, Baja Peninsula lowlands and the Yucatan Peninsula. Broadly speaking temperatures are warm year round, becoming hot and sometimes humid in the rainy season. The Tierra Templada are regions that lie between 750m and 2,300m above sea level, with relatively mild weather all year, although it can get fairly cold in the winter months. Mexico City and Guadalajara lie in this region. Finally the Tierra Fria are found at altitudes above 2,300m and include mountain ranges and volcanoes, and as the name suggests it is pretty cold in these areas throughout the year. 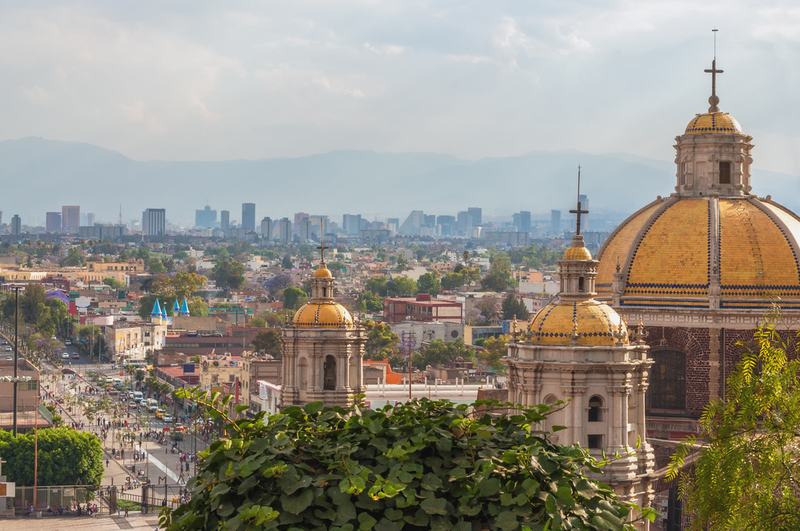 Mexico has pronounced wet and dry seasons with most of the country experiencing a rainy season from May or June through to mid-October, especially south of the Tropic of Cancer. The rains tend to fall late afternoon often in torrential downpours, but they pass fairly quickly and are followed by cooler, dry evenings. February is generally the driest month and July the wettest. Mexico lies within the hurricane belt, and both coasts are susceptible to hurricanes from June to October and sometimes as late as November, with September and October usually being the most active months. As temperatures cool from November onwards, the likelihood of hurricanes and tropical cyclones lessens. Hurricanes on the Pacific coast tend to be less violent than those affecting Mexico’s Caribbean coastline, and they are less frequent along the Gulf of Mexico and the Yucatan Peninsula. A couple of notable hurricanes have been Hurricane Wilma (2005) and Hurricane Patricia (2015). The hottest months in Mexico are April and May in the south, and July to September on the Pacific Coast, including Baja California. It is extremely hot on the Yucatan Peninsula from May to September. The coolest months vary by region, but tend to be from December through to February. Even during these ‘cool’ months, the Yucatan Peninsula can still throw out some hot weather. The cold Californian current that sweeps southwards along the Pacific coast, has the effect of lowering temperatures and reducing rainfall on Mexico’s west coast as far south as the tip of the peninsula of Baja California. The warm waters of the Caribbean Sea along with the constant northeast trade winds result in the east coast having a tropical climate with a wet season during the summer months. Much of north western Mexico experiences arid or semi-arid conditions. 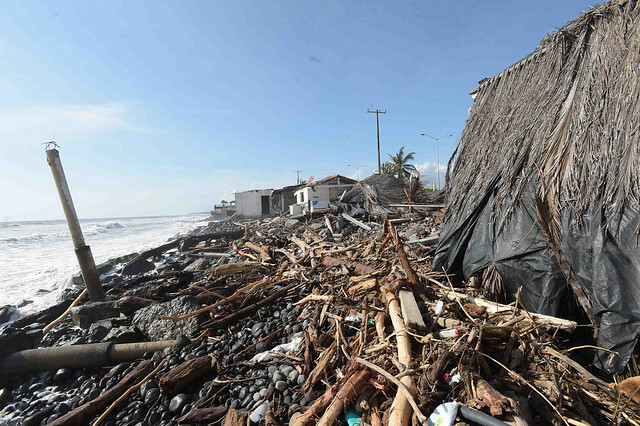 The wettest part of Mexico is the lowland region along the Caribbean coast. The north coast of the Yucatan peninsula is drier than the east coast and the interior. Those regions that lie inland and at altitude tend to have warm, spring-like weather year round, although from December to March it does get a bit cooler. If you want to discover Mexico for yourself, check out the tours that Chimu Adventures has to offer not only to Mexico but all of Central America. Or let us help you design your own personal itinerary.